Come and see us at Bikes on the quay in Poole, Dorset this evening and every Tuesday evening for the next 4-5 weeks. 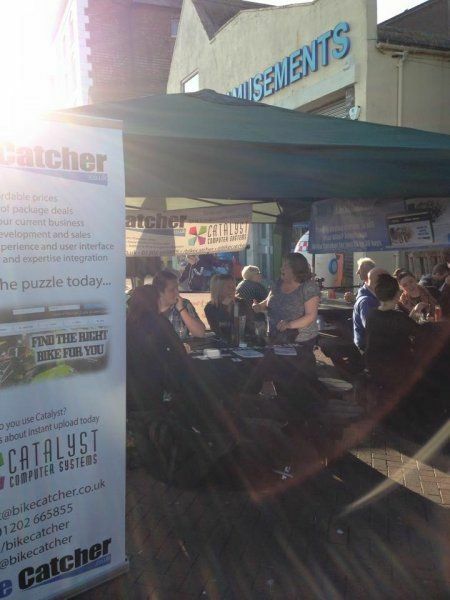 We would love to see you and have a chat and a nice pint in the sun to discuss how Bike Catcher could help you find your next bike and or advertise your bike for just £5 for 30 days. Poole Quay Dream Machines is a fully marshalled event, with a £1 entry charge per night or £7.50 for a season armband (on sale at the Welcome Centre on Poole Quay). It is a self-funding event and once all event costs have been deducted the surplus is donated to charities selected by the volunteer marshals. The popular "Bike of the Night" competition takes place every week. On the evening a different judge selected by Poole Tourism selects their favourite bike on display. The winner receives some brilliant bike related goodies and also gets an invitation to the end of season "Bike of the Year" competition, which takes place on the final Tuesday in September.